The Boston Graduate School Christian Fellowships are a diverse array of fellowships meeting on campuses throughout the Boston area. 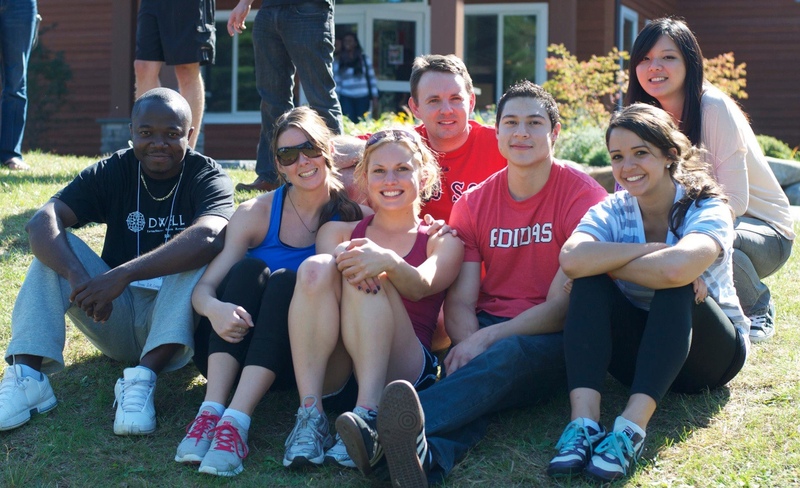 A few times a year, the groups come together for a joint retreat or celebration, but much of their activity takes place on the individual campuses. As communities on campus, we seek to encourage one another to view our work, friendships and lives in the context of our relationship with Jesus. We meet together to pray, to support one another, to study the Bible, to reach out in service and missions projects, and to celebrate. The Boston Graduate School Christian Fellowships are sponsored by InterVarsity Christian Fellowship's Graduate & Faculty Ministries and Park Street Church. Here's a full list of student contacts for each of these campuses. We also support students at a number of additional schools through our liaison with Park Street Church -- contact Tim Leary for more details. If you're interested in joining with a fellowship group on your campus, and you don't attend one of the schools listed above, please contact Tim Leary for more information. We're delighted to support a growing community of international graduate scholars and faculty. If you're interested in finding out about this, please contact Tim Leary. Come away with us for a weekend retreat at the height of fall foliage in New Hampshire. Get to know InterVarsity's vision for God's work on campus, get to know InterVarsity staff and student leaders, invite God into your work, and catch your breath with friends after the start of the school year. Urbana 15 is an amazing opportunity to study and learn about critical global issues from dynamic teachers, worship with thousands in one of the most diverse gatherings in North America, and connect with God's purposes at home and the ends of the earth. The Society for the Two Tasks (S2T) was founded in 2004 and meets each Saturday during the school year in Harvard Yard in the Philips Brooks House. The name of the group comes from a speech given by Charles Malik in 1980 at Wheaton College, where he argued that the church had two tasks set before it, saving the soul and saving the mind, and that it had largely failed in the latter. This group strives to address the task of saving the mind by engaging in study and discussion of a wide variety of topics relating to Scripture, apologetics, historic theology, world religions, secular critiques of Christianity, and the claims of Jesus. Our meetings are open to everyone. Write to Finny Kuruvilla for updates on the weekly question or to be added to the email list. - Top Ten Tips for being a grad student. - Spiritual suggestions for Ph.D students.